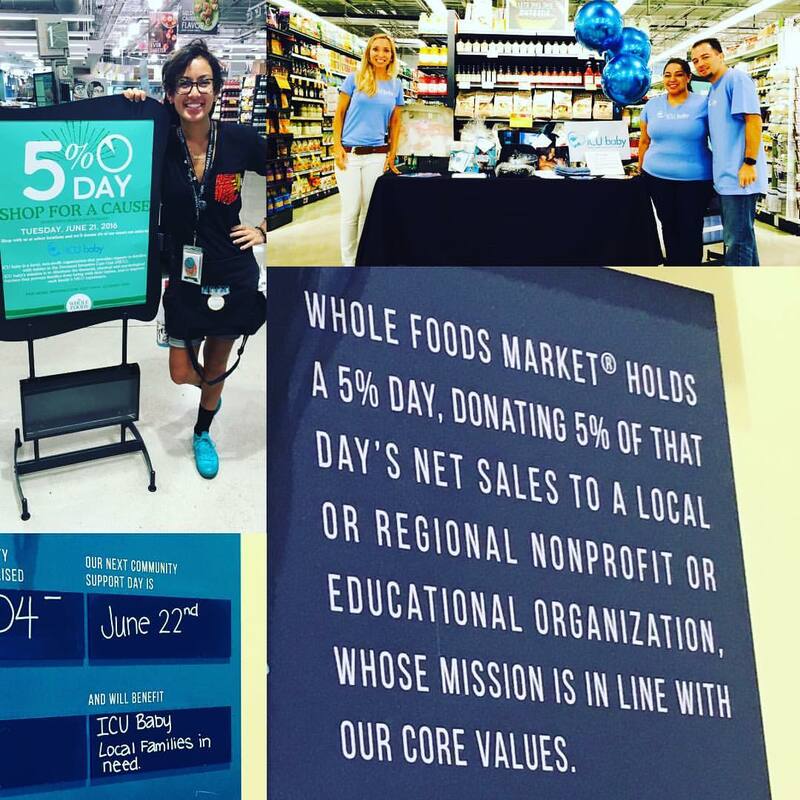 ICU baby was honored to be selected as one of four nonprofit organizations that local Whole Foods selects annually to participate in it’s 5% Day. On June 21, 2016, ICU baby received 5% of the pretax sales from Whole Foods Downtown Miami and Whole Foods South Beach stores, raising over $11,000 to support current ICU baby projects. ICU baby is so grateful to Whole Foods for the warm hospitality and to our community members for coming to shop despite the torrential rains. A washout of a day did not keep Whole Foods shoppers away … It was an inspiring day of giving.